From a young age butterflies have fascinated me. The way they seem to gracefully dance across the sky, uncatchable. One wing beat they blare colours so bright the rainbow is envious, the next beat they’re invisible. How something so fragile could survive, and do it so well in our ever changing world, was always beyond me. 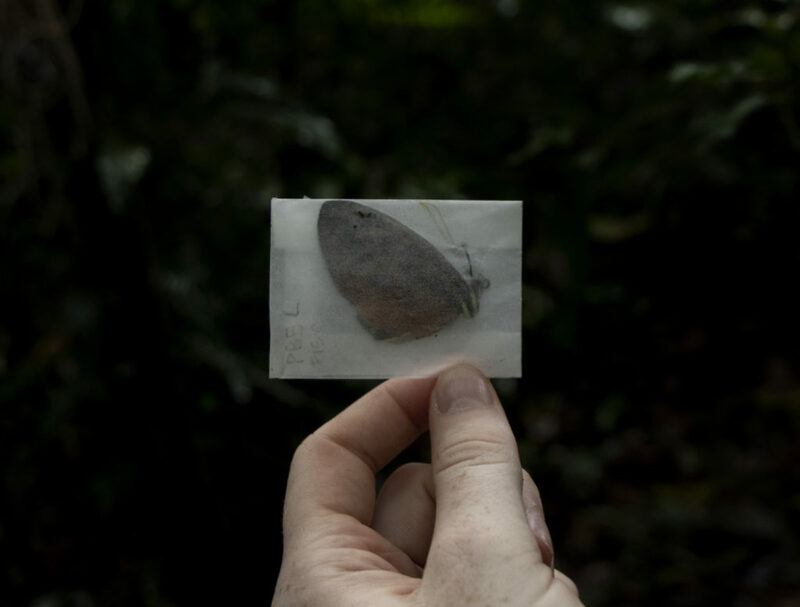 Standing in the heart of the Manu Learning Centre, a research station in the Manu Biosphere Reserve, it is hard to believe that mere weeks ago I was in my back garden, a cuppa tea in hand, and taking part in the Big Butterfly Hunt campaign spearheaded by Sir David Attenborough. Now here I am in the Amazon, a childhood dream once forgotten and now reborn. Sweat bees crawl over my brow, a hundred different flies buzz in my ears and countless bug bites ask to be scratched. Arm deep in a butterfly trap, I find my first catch. Whilst carefully pinching its wings with tweezers, I pull it out and begin trying to identify it. The ‘eyes’ staring at me from its patterned wings prove that our 7km trek has been rewarded, and we record the butterfly as a caligo. Butterflies are used as indicator species due to their short life cycles, sensitivity to habitat change and farming practises, like the use of pesticides. Therefore, findings in butterfly diversity can also be applied to estimating wider invertebrate populations, which make up two thirds of life in the rainforest. Even more thrilling is the fact that Peru has 3,3700 (20%) of the world’s known butterfly species, with experts believing there could even be as many as 4,200 unknown species in Peru. It is possible that one day an intern or volunteer at the MLC could come across a completely new species to science through this survey. 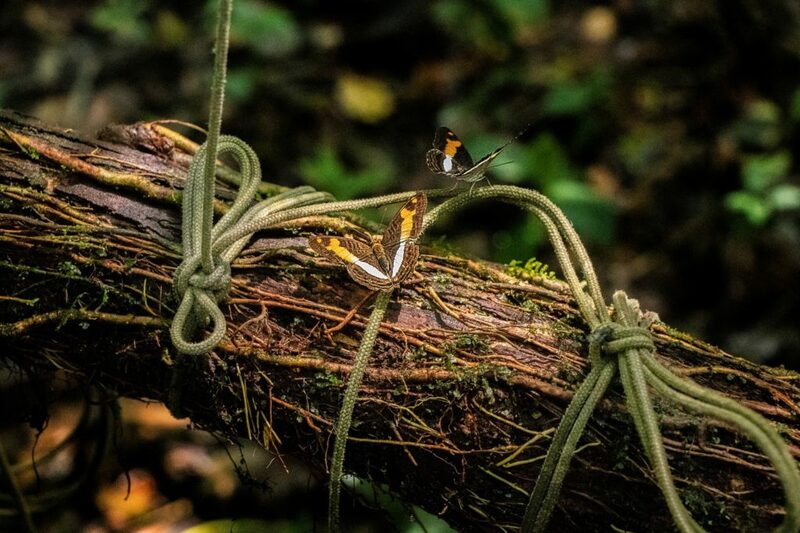 Butterflies evading being part of the Crees survey, resting on the pulley ropes. We’ve finished collecting the data from the first trap; now for the second. However, before moving on the nets must be hoisted up and the traps must be baited - no butterfly will spend the night in our butterfly hotel without the incentive of free food! Unluckily for us, today’s bait is rotten fish, and as we unscrew the top of the bottle holding the pre-prepared bait, a pungent, eye-watering odour is released… Not everything about butterflies is beautiful! Carefully, we refill the bait pot and secure it in the traps. Slowly, and with a steady hand, the levy is pulled and the net floats upwards like a spectre. 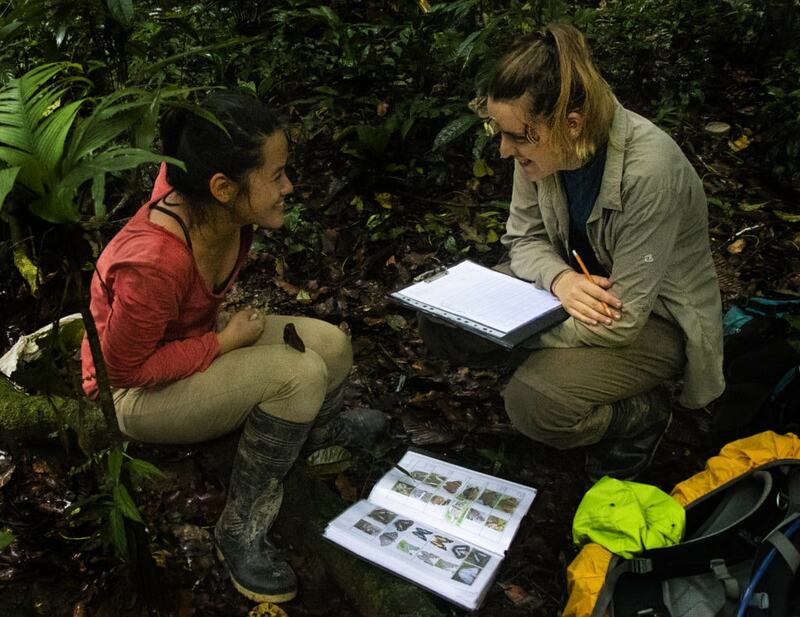 We reach the final trap at canopy level - the highest of the three - and get a chance to glimpse at life often not seen by others who visit the rainforest. However, as our day's work comes to a close, frustration grows and we struggle to identify a particularly tricky heliconius. Triple checking the field guide but still undecided - it could be this one or that one - we admit defeat. Carefully packing away the butterfly, we store it to be taken back to the camp base at the MLC. Maybe a staff member will be able to identify it, or it will be sent to a university in Cusco which works in partnership with Crees. Heliconius butterfly that couldn’t be identified on the field. The more you know I suppose! But definitely a top tip I will keep on trying when I’m back at home.